Set of 8 Notecards – A collection of 4 landscape paintings of beautiful Warwick, New York by Janet Howard -Fatta. 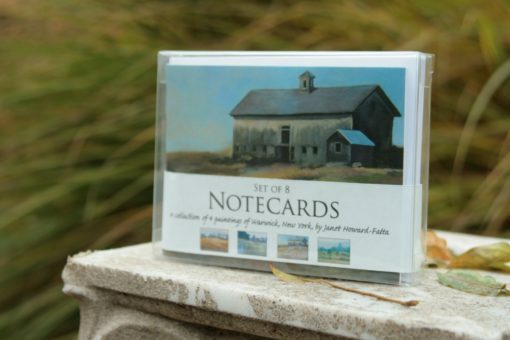 These are printed notecards on high quality matte paper, comes with 8 24lb. bright white envelopes. 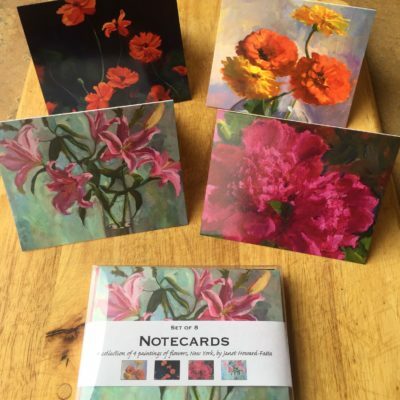 The cards measure 4.5″ h x 5.5″w. There are two of each painting in the set. This makes a lovely gift, thank you note or plain old fashioned stationary. Blank Inside. Back of card printed with my signature.